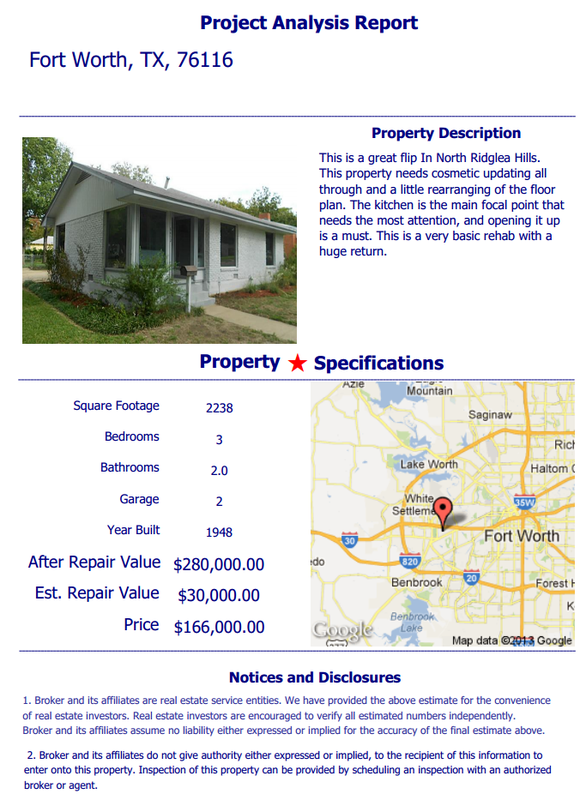 American Wholesale Property: Ridglea Property Flip For Sale!! Ridglea Property Flip For Sale!! This is a great flip In North Ridglea Hills. This property needs cosmetic updating all through and a little rearranging of the floor plan. The kitchen is the main focal point that needs the most attention, and opening it up is a must. This is a very basic rehab with a huge return.